A pattern taking inspiration from the River of the same name. Rising in County Cavan and rippling throughout Fermanagh then turning west into Donegal Bay. 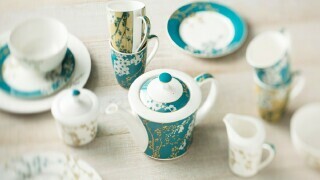 As a stunning range this collection is sure to impress. 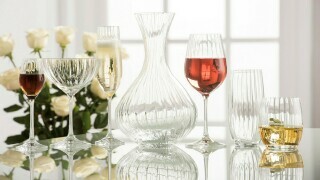 As an ideal wedding gift, or engagement token, this Sherry Set is simple yet powerful in design. 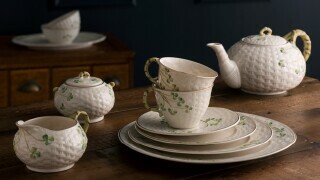 I bought a set of 4 last year in Belleek and they are super. 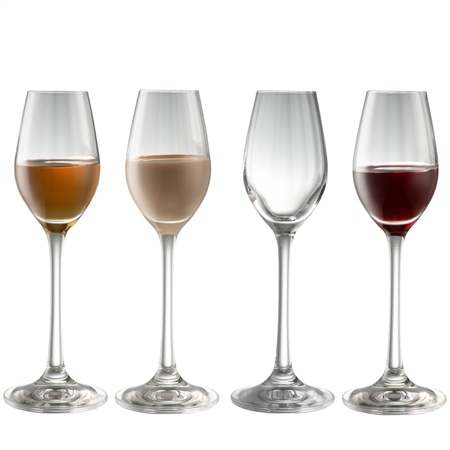 Actually use them for port (not so keen on sherry) and I find them perfect. So delicate and subtle. Broke one so I bought another set on-line. Arrived promptly, well packaged.